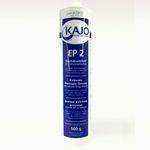 KAJO-Extreme Pressure Greases EP – series are based on high-class base oils, using lithium soaps as thickener (Li-12-hydroxy stearate). They are intended for use with the two-handed grease gun. 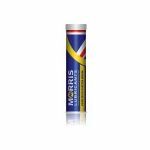 Manufactured from a Calcium soap base and highly refined mineral oil, with added graphite to provide boundary lubrication and protection against seizure in conditions when ordinary greases would fail. Also included in this grease are additives to prevent corrosion, rust and oxidation. Additionally, this grease shows excellent resistance to severe mechanical working. 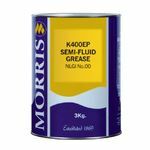 K84 is a premium quality fully synthetic semi-fluid grease recommended for use in worm reduction units subjected to high loads. K84 imparts a low coefficient of friction and hence transmits the maximum power with the minimum temperature rise.